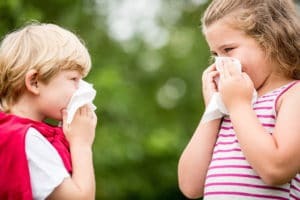 Parents with allergies understand all too well how allergies can affect a child’s life. 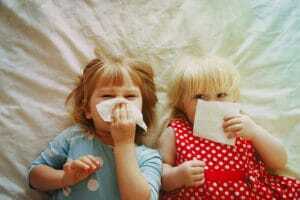 Children with allergies miss school, play less and spend more time in doctor’s offices. It has been proven that allergic rhinitis – aka hay fever – can develop into full-blown asthma. 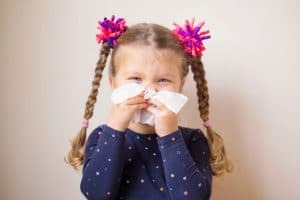 If you have allergies or suspect that your child might have allergies, a simple skin test from our pediatric allergist can quickly diagnose an exact allergy and start the right treatment. Call Pediatric Partners today to schedule your child for allergy testing with our pediatric allergy and asthma specialist. There are several types of allergy tests, but blood and skin tests are the most common. 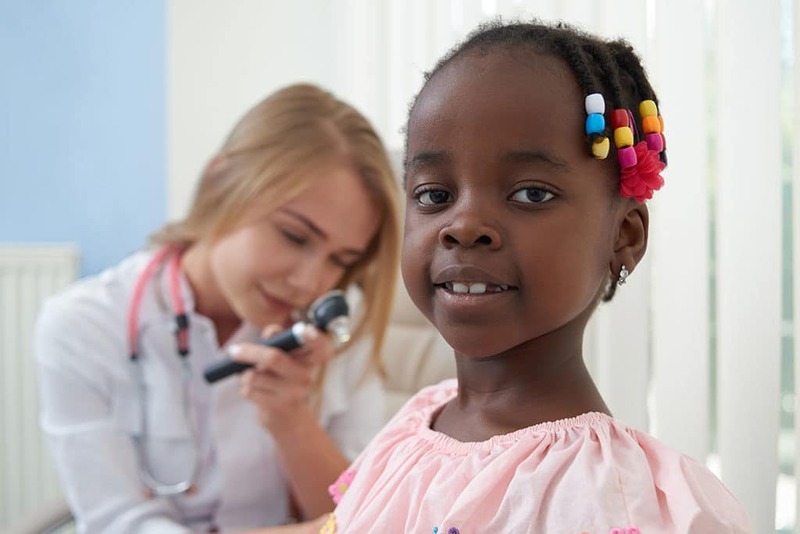 Your child’s symptoms will help our pediatric allergy and asthma specialist determine exactly which type of test is needed, but none of them are difficult or painful. Perhaps the simplest, a blood test simply requires drawing a sample of blood and sending it to a lab for analysis. Blood tests can quickly diagnose hundreds of allergens, from pet dander to food allergies. During a skin prick test, the pediatric allergist will use a small, plastic prick to scratch a tiny amount of allergen onto the skin, usually on your child’s back. If he or she is allergic, a small bump, similar to an ant sting – will appear. This determines skin allergies such as mold, grass, detergents, pollen and animal dander. No matter which allergy test is right for your child, it helps to prepare him or her for the test. Just about any allergy test requires the patient to stop antihistamines and cold medicines about three days before the test because these types of treatments can interfere with the results. Skin prick tests take the longest, and though the test is not painful, results can include itching and discomfort. Distractions are highly recommended, especially for younger children. Have them bring a tablet, book or favorite toy. Going to the doctor is scary for most children, especially when they know tests are involved. The most important thing we can do as parents is to reassure our children that pediatric allergy and asthma testing is not scary or painful. In fact, a trip to the pediatric allergist will determine their specific allergies and help them feel better. Our pediatric allergist, Dr. Mary Anderson, is board certified in pediatrics and allergy and immunology and is a member of both local and national organizations. She looks forward to helping your children find and treat their allergies. Pediatric Partners has three locations to serve our patients. The Evans office is located at 411 Town Park Blvd., the downtown Augusta office is located at 1303 D’Antignac Street, Suite 2600, and the Grovetown office is located at 5135 Wrightsboro Road. For more information about Pediatric Partners, call the office at 706-854-2500, visit pedpartners.com or follow the Pediatric Partners of Augusta Facebook page.